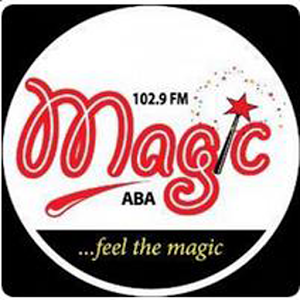 Live streaming from Magic FM Aba, one of the best radio stations in Nigeria and everything about their updates with your data intact. Magic FM Aba, is a private commercial radio station based in the city of Aba, Abia State of Nigeria. It is promoted by Saturn Communications Limited (RC:403261), a limited liability company incorporated in 2001. Saturn, which is trading as Magic FM was licensed by the National Broadcasting Commission (NBC) in 2012 to broadcast in Aba and environs. By that, it became the first private radio station in Aba, the sprawling commercial city in Abia State which serves, Rivers, Imo, Akwa Ibom, Cross River, Bayelsa, Ebonyi, Enugu States and Cameroon, etc. The station began full programming on May 15, 2013.